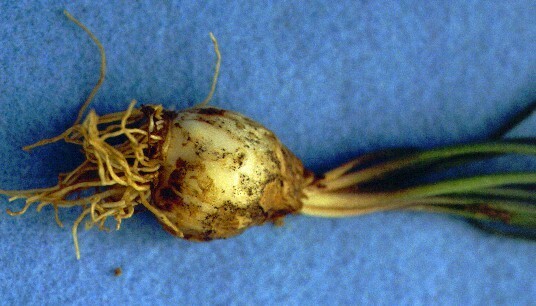 A bulbous perennial with leaves that resemble an onion or garlic, and are sometimes confused as a grass. 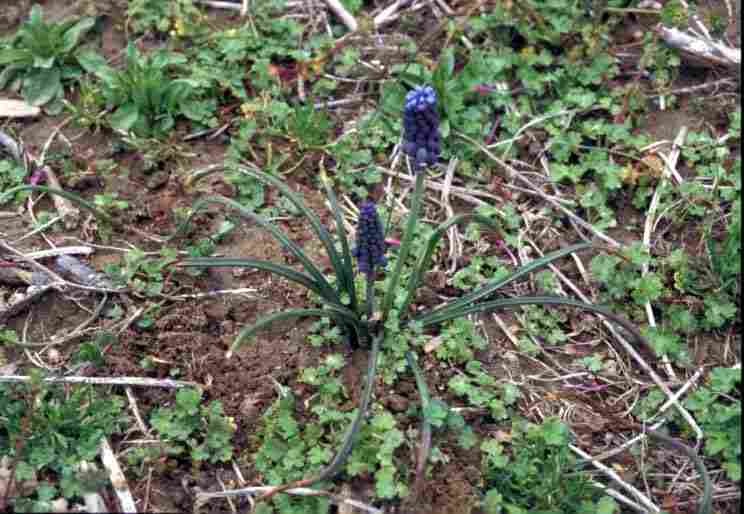 Starch grapehyacinth has attractive clusters of purple flowers and has escaped cultivation to become a weed of landscapes and some winter cereals in Virginia. Leaves are linear in outline, from 5 to 16 inches in length and 2 to 5 mm in width. All leaves are hollow and resemble those of wild garlic, but have no distinct onion like odor. Leafless flowering stems (scapes) occur that range from 4 to 8 inches in height. Plants usually bloom from May to early June in Virginia. 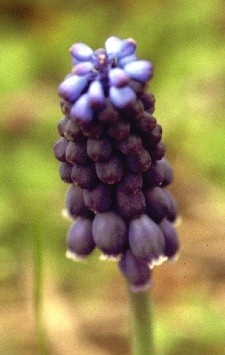 Many bottle-shaped purple flowers occur in clusters at the ends of the leafless stems. Individual flowers are 4 to 7 mm long, 2 1/2 to 4 mm wide, bottle-shapes and drooping downward. A capsule that is 7 to 8 mm long. Plants have a conspicuous bulbs, usually larger than those of wild garlic or wild onion. 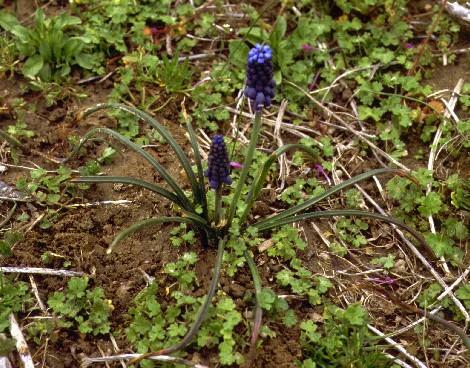 Plants with onion-like leaves and conspicuous clusters of purple, bottle-shaped flowers. 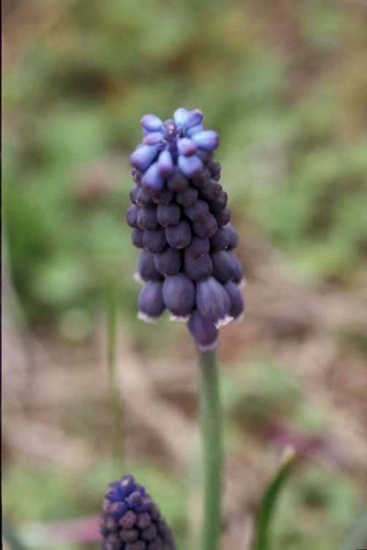 Starch grapehyacinth may be confused with Wild Garlic (Allium canadense) or Wild Onion (Allium canadense), but does not have a conspicuous onion smell like these species. Additionally, Star-of-Bethlehem (Ornithogalum umbellatum) is very similar in appearance and growth habit, however this weed has a conspicuous white midvein along the leaves unlike those of starch grapehyacinth.